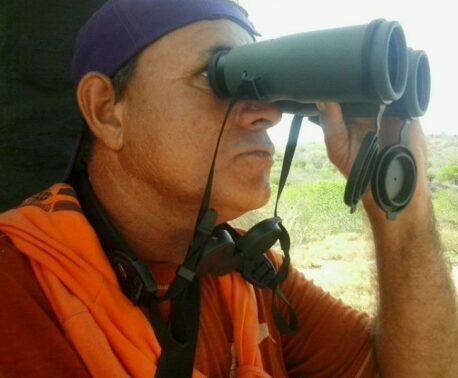 Ranger Pablo Antonio Millán is doing all he can to make sure that the Yellow-shouldered Parrots of Margarita Island have a successful breeding season in 2014. Pablo is employed by Asociación Civil Provita (Provita), the Venezuelan conservation partner of World Land Trust (WLT). WLT helps support his post with funding from the Keepers of the Wild appeal. The Yellow-shouldered Parrot is listed as Vulnerable on the IUCN Red List. It is threatened by illegal trafficking for the pet trade and by the loss of its desert shrubland habitat in coastal areas of northern Venezuela. 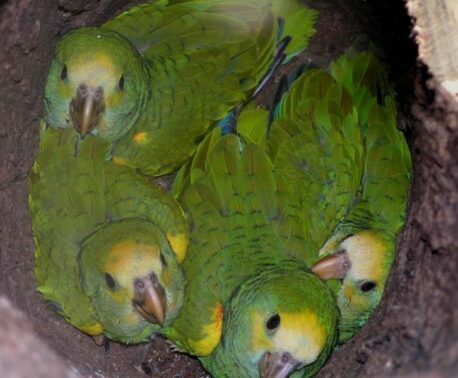 The parrot chicks are targeted by poachers during the nesting season and WLT launched the Margarita Island Parrot Appeal in 2012 after poachers stole 16 chicks from nest sites on the island. During March and April Ranger Pablo, other rangers and members of Provita’s local team made regular visits to La Chica, the main nesting area of the Yellow-shouldered Parrot. In May the parrots were selecting their nest sites and preparing cavities, and the annual programme of monitoring and surveillance is now under way. The 2013 Yellow-shouldered Parrot census showed an overall drop in parrot numbers although the unusually wet weather in November made it harder to locate and count the birds. Assisting with last year’s census, Pablo joined one of the five teams that simultaneously visited the five main roosting sites in Macanao. On each site, the groups counted the number of parrots that landed over the trees just before dusk. 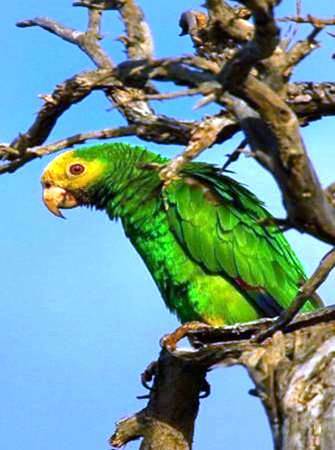 As in previous years Chacaracual Community Conservation Area, owned and managed by Provita, was the second site with the largest number of parrots, after La Chica; another important site was the vicinity of the town of San Francisco. As an average across the three census days, 1,375 parrots were counted. This is a relatively low number, probably due to fluctuations in the weather. The weather at that time of the year is supposed to be dry, but in 2013 it was rainy. This meant that parrots ranged across a wider area, making it hard to locate them and to make counts on all the roosting places. Another census is planned for the dry season, but not during the breeding season, as many parrots stay on their nests through the evening. You can help keep the Yellow-shouldered Parrots and their chicks safe by donating to Keepers of the Wild.